Often we find that people afflicted with calamities, sihr and constant blockages in life are so desperate that they would do almost anything to change their lives for the better. 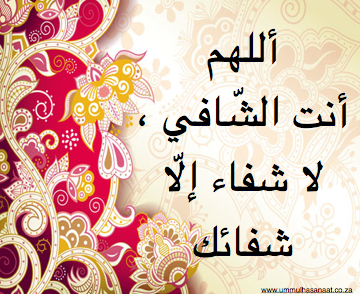 For those whom Allah have guided to ruqyah shar‘ee, Alhamdoulillaah. However we have to never forget that everything is in the hand of Allah alone. In a narration of Muslim, ‘Aaishah (RadhiyAllaahu ‘anhaa) said, ‘He asked and asked and asked.’ [Sahih Muslim]. Al-Hafiz bin Hajar said in Al-Fat-h that it was the Prophet’s (Sallallaahu ‘Alayhi wa Sallam) habit to repeat his du‘a (invocation) three times as mentioned in the narration of Ibn Numair in Sahih Muslim, where he said, ‘He asked and asked and asked’. An-Nawawi stated that it is preferable to supplicate to Allah when an evil thing befalls man and to repeat the supplication to Allah to drive away this affliction. He also added that the story of the Prophet’s (Sallallaahu ‘Alayhi wa Sallam) in dealing with sihr demonstrates the fact that he followed the means. First, he relied on Allah to reward him for his patience with such affliction. Second, when he was afraid that this would affect his worship, he resorted to cure and supplication; both attitudes are manifestations of utmost perfection [Fat-h Al-Bari-10/228]. If we can understand and apply this simple yet powerful act of supplication (du‘a) with firm conviction (yaqeen) that Allah alone does, we will gain so much, because the Prophet (Sallallaahu ‘Alayhi wa Sallam) said, “For whoever the door of du‘a opened, for him the doors of mercy are opened.” (Tirmidhi). The raaqi or means of help from Allah is exactly that. Just a means. Why only rely on a mortal man when we can directly ask Allah Himself? Why would Allah not answer our prayers immediately? Are we sinning? If we are not, have we been standing night after night in Qiyaam-al-Layl (night vigil) begging Allah for what we want and need? If we are doing this even, then He is surely testing us to see how well we trust Him. He may delay answering our du‘as for a number of reasons only He understands according to His infinite wisdom. And remember with every affliction or discomfort a Muslim feels, Allah is wiping his sins away, as mentioned in the hadith narrated by Abu Sa‘eed Al-Khudri and Abu Hurayrah (RadhiyAllaahu ‘anhumaa): The Prophet (Sallallaahu ‘Alayhi wa Sallam) said, “No fatigue, nor disease, nor sorrow, nor sadness, nor hurt, nor distress befalls a Muslim, even if it were the prick he receives from a thorn, but that Allah expiates some of his sins for that”. [Sahih al-Bukhari]. And yet another hadith from Bukhari shows us that tests are a sign of Allah’s mercy- Abu Hurayrah (RadhiyAllaahu ‘anhu) narrated: the Messenger of Allah (Sallallaahu ‘Alayhi wa Sallam) said, “If Allah wants to do good to somebody, He afflicts him with trials”. So do not despair, and always have trust (tawakkul) that Allah is the only One who will cure us and remove difficulty. Use the means of halaal cure that Allah has provided and continue asking and seeking nearness to Him. No condition remains the same and all conditions in this life, except the life in Hereafter, are temporary and subject to change according to the will of Allah, as He alone knows best. The word Jinn comes from an Arabic root meaning “hidden from sight”. Jinn are intelligent living beings who have been exposed to divine revelation containing both commands and prohibitions, and are thereby eligible for either a reward or punishment in the next life. Denying possession of human bodies is denial of Shar‘i evidence. 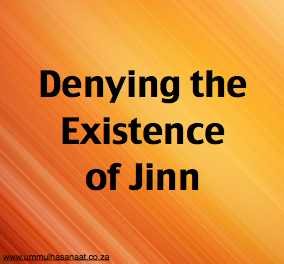 Those who deny the Jinn existence do not have evidence to support their denial. They merely have a lack of knowledge because the beliefs and experimental knowledge of their profession contain nothing which confirms the Jinn’s existence. Such is the case of a medical doctor who looks after the health of the body by treating the physical symptoms of its sicknesses from the point of view of changes in its physical make-up, without considering what may happen to the body from a spiritual point of view or what may happen to the body as a result of the effect of the Jinn, on it. The Jinn most certainly do have an effect on humans according to the Prophet’s (Sallallaahu ‘Alayhi wa Sallam) clear statement in the following authentic narration, “Verily Satan flows in the blood stream of Adam’s descendents.” For, in the blood is the ether known to doctors as the ‘animal soul’ which is emitted by the heart and which moves throughout the body giving it life. “Say, ‘It has been revealed to me that a group of Jinns listened and said, ‘Verily, we have heard an amazing recital. It guides to the right, we believe in it and we will not associate anyone or anything with our Lord. Exalted is our Lord’s majesty. He has taken neither a wife nor a son. There were among us some fools who lied about Allah. But we believe that no man or Jinn should lie about Allah’”. Whenever a man of that time would enter a valley -and valleys are where Jinns were thought to reside, as they frequent valleys more than high ground – the man would say, “I seek refuge with the supreme master of this valley from its foolish inhabitants.” When the Jinns found men seeking refuge in them, they would terrorize humans and attack them with even more ferocity. Men would bring with them amulets and talismans (taaweez) using the name of the Jinn and their rulers and they would swear by the names of those among the Jinn and their rulers whom they held in high esteem. This resulted in man’s elevation and honour of the Jinns over themselves. Consequently, the Jinn would often fulfil some human requests -especially since they knew that man is more noble and honourable than they are. If a man subordinates himself to them and seeks refuge in them, he becomes similar to an important person who ignorantly seeks help from an insignificant nobody in fulfilling his needs. The point is that Allah has stated that Muhammad (Sallallaahu ‘Alayhi wa Sallam) was sent to both worlds and the Jinn heard his recital of the Qur-aan and returned to their people and informed them. These facts are agreed upon by all Muslims. Most of the Sahaabah (RadiyAllaahu ‘annum) and their students and the majority of later scholars also held that the Jinn came back to the Prophet (Sallallaahu ‘Alayhi wa Sallam), that he read more Qur-aan to them and that they took an oath of allegiance with him. They also believed that the Jinn asked the Prophet (Sallallaahu ‘Alayhi wa Sallam) to specify some food for them and their animals and he said to them: “You may have every bone on which Allah’s name has been mentioned as it will become covered with more than enough meat, and for your animals you may have animal droppings as feed.” The Prophet (Sallallaahu ‘Alayhi wa Sallam) also said, “Do not clean yourselves with both of them (bones and dung) for verily they are provisions for your brothers among the Jinn.” This report is authentically reported in Saheeh Muslim and other books of hadeeth from the Sahaabi, ‘Abdullah Jbn Mas‘ood (RadiyAllaahu ‘anhu). Jinn have been exposed to divine revelation containing both commands and prohibitions, and since Rasoolullaah (Sallallaahu ‘Alayhi wa Sallam) was also sent to them, it is therefore obligatory for Muslims to treat them as they would treat another human being with regard to commanding the good and prohibiting the evil. The Jinn should be invited to submit to Allah just as Allah ordained that His Messenger invite mankind to submit, and as the Prophet (Sallallaahu ‘Alayhi wa Sallam) invited them. Muslims should also admonish and treat the Jinn in the same way that they would treat humans who break the laws of God. That is, they should repel the tyranny of the Jinn by employing the same methods which repel the tyranny of men. Since jinn have the ability of shape-shifting, they can take on various forms. Animals, mythical creatures, human beings, and what ever you can imagine- are all forms they can take. Sounds like a movie? Seriously there is proof in the time of Rasoolullaah (Sallalaahu ‘Alayhi wa Sallam) that this is true. One of the Companions of the Prophet (Sallallahu ‘Alayhi wa Sallam) killed one of the snakes in the house and this led to his death. Muslim has recorded it in his Sahih that Abu al-Saib (RadiyAllaahu ‘anhu) went to Abu Saeed’s (RadiyAllahu ‘anhu) house and found him praying. Abu al-Saib was waiting for him to finish his prayer when he heard some rumbling in the bundles of wood which were lying in the corner of the house. He looked and he found it was a snake. He was about to kill it when Abu Sa’eed (RadiyAllaahu ‘anhu) gestured to him to sit down. After the prayer, Abu Sa’eed (RadiyAllaahu ‘anhu) pointed to a room and he said, “Do you see this room? “Yes,” answered al-Saib (RadiyAllahu ‘anhu). 1. This regulation concerning the prohibition of killing such animals is with respect to snakes only and not with respect to all animals. 2. The regulation does not extend to every snake but only to those that are found in the house. Those that are found outside of the houses may be killed. 3. If one sees a snake in the house then he should warn it, in other words, order it to leave, by saying something similar to, “I adjure you by Allah to leave this house and take your evil away from us, if you do not do so we shall kill you.” If you see it after three days, you should kill it. 4. The reason that it is to be killed only after three days is a precautionary step in order to ensure that one does not kill a jinn that had become Muslim. If he was such a jinn, he would leave the house. If he does not leave, then he deserves to be killed, as it is, in that case, a rebellious non-believing jinn that deserves to be killed due to the harm that it brings to the inhabitants of the house. 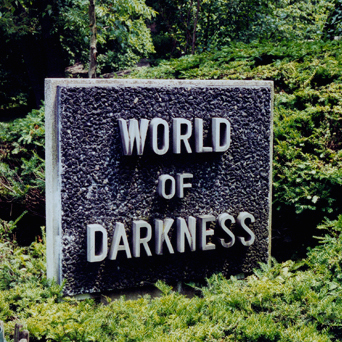 In the fiery world of trials and tribulations, darkness is a dominant force in the existence of many beings and communities. The force which truly distinguishes us from fellow human beings alike is the constituent of faith also termed as Imaan; believing in Allah alone and importantly; not ascribing any partner to Allah Azzawajal and neither attributing qualities of Allah Azzawajal to beings who are His creation; irrespective of their piety, nobility or ancestry. The moment we ascribe partners to Allah Azzawajal, we are no more people of Islamic Faith or Mumineen. This is a rather grave situation as Allah Azzawajal forgives all sins besides those that are classified as Shirk by the righteous scholars or anything of the like. Today, the force of Shirk tries to squeeze out the lives of many people. They become victims of suffering in their emotional, physical, social, financial and intellectual life. They become restless to the fantasies of beings that we cannot see, out of fear. My dear brother and sister: know well that Allah Azzawajal has kept humankind His Vicegerents on this earth, meaning: we are the most superior form of creation. The egos of Shayateen and Jinn thrive when we express fear to them and yet Allah Azzawajal has made us intellectually superior to them! Physically, they may have the upper hand but that will never make them superior to us in the sight of Allah Azzawajal. There are two physical and two spiritual weapons to combat these evil Jinn, their sorcery which they carry to and from sorcerers to harm people and cause turbulent wave patterns in their lives, as well to prevent them from entering one’s being. 1.Lifestyle adjustments: towards the obedience of Allah Azzawajal and shunning of sins especially Shirk as well as adopting the company of those people involved in Shirk. 2. Eating Halaal and Tayyib (pure) food: As much as KFC or Chicken Licken may be tempting, nothing beats the delicious warm plate of food which is filled with the warmth and love of a wife for her husband or mother for her children and garnished with absolutely Halaal ingredients. This is a great preventative measure for Sihar (sorcery) intake to be minimized. Included in this, is eating regularly at take-aways or areas where the source of the food is either Haraam, doubtful or handled by people who are not conscience about Halaal or Haraam. 1. Recitation of Qur’aan in abundance: through different cases of Ruqya, we can say for certain that the benefits of Qur’aan are not merely for attaining reward in the Hereafter. They are truly effective in this world and against combatting Sihar or the drastic effects thereof. Shayateen or Evil Jinn get repelled very easily and “burn” when Qur’aan is recited on them with the intention of destroying them. Yes, you read right! Destroying them if they are worthy due to being agents of Shirk and Sihar. 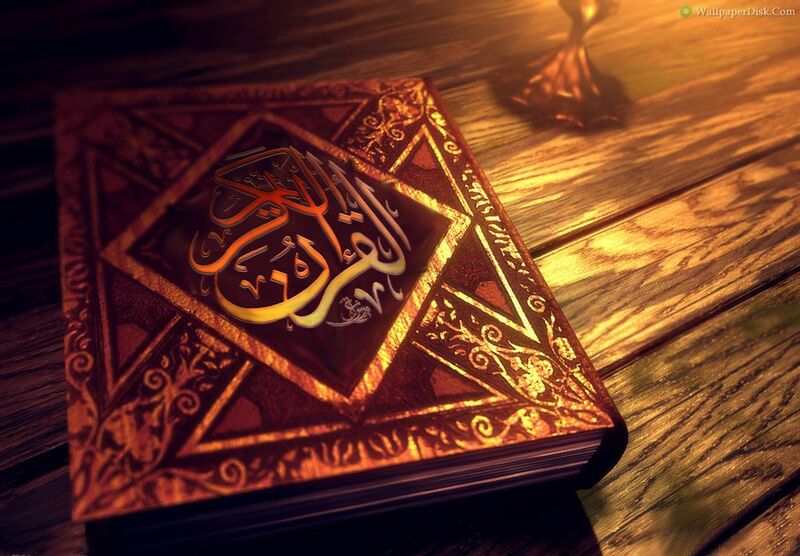 Recitation of Qur’aan constantly protects oneself and nurtures the heart with Allah Azzawajal’s love. It paves a way for an opening to the heart filled with light and protection. 2.Conviction and Sincerity: the good intentions and deeds of a person is exemplified with sincerity and the intention of a person is exemplified with conviction. We intend to rid our lives of falsehood caused by Sihar through Shirk and we must have conviction that Allah Azzawajal will make it a reality. We do good deeds with sincerity and we must be convinced that Allah Azzawajal will reward us for the,. 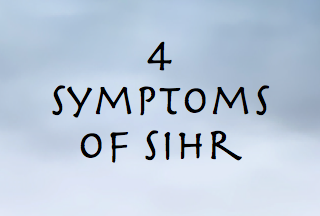 The above 4 weapons are highly useful in combatting Sihar stimulated through Shirk. You do not need to be visiting the Raaqis for regular “check-ups.” Allah Azzawajal has provided the weapons for you to protect yourself. You should harness these weapons and thank Allah Azzawajal for them. There may be times where sometimes it is necessary to seek treatment for Sihar (sorcery) through Shirk (ascribing partners with Allah Azzawajal) and hence Islam has provided a solution just like any other matter of our existence. The solution is the Islamic Science of Ruqya. Alhamdulillah, Allah Azzawajal has blessed the South African community with diversity in culture and tradition which influences people’s backgrounds and the way they practice Islam; to an extent. However, the principles of Islam supersede all cultural boundaries and traditions. Islam is the uniting factor between Muslims. Diversity within the Muslim population may at times present a possible threat due to relations shared between associates, colleagues, family and friends that are Non-Muslim and live their lives in Shirk. More importantly, diversity in culture may lend to the notion of witchcraft and sorcery (Sihar) being permissible in certain cultures and religions. However, Islam has totally prohibited such a culture. In fact, Sihar through Shirk is severely detestable in the sight of Allah Azzawajal as it is the single major sin which Allah Azzawajal never forgives. 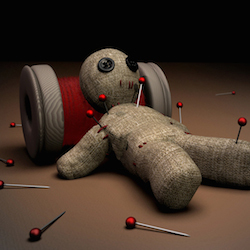 In South Africa, we find many people that utilize sorcery out of cowardice. They cannot confront people amidst conflict; they bottle in their frustration and they turn to Sihar and Jinn to aid them in bringing harm to fellow human beings. Sorcerers (Saahir) offer sacrifices to Evil Jinn or Shayateen or worship them in exchange for things to materialize in favor of the sorcerer and in turn; the person who utilizes the sorcerer to do his wicked actions. This vicious cycle continues and affects innocent Muslim families and communities. Marriages break up, relationships sour, financial turbulence is the norm and emotional instability creams the cake of negativity and depression in a person’s life. 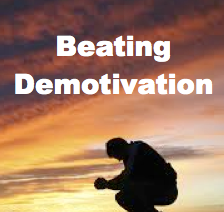 People become desperate and resort to measures which further worsen their problems. Please be advised that this video is to educate those in doubt about taweez and if they can actually help solve your problems. It is clearly stated in the Quran that ask only from Allah. The glorious Qur’an is the word of Allah. Read it. Recite it. Understand it. Tying it into a little amulet and wearing it on your body isn’t going to do anything. To add further to this, none of these so-called ‘peers’ are advising that ayats of the Qur’an cannot be worn in the bathroom, when engaging in certain acts, when not in a form of purity/wudhu.. Rely not on any amulet or taweez given by a magician to solve your problem, ask directly from Allah and gain knowledge on which ayats contain shi’fah for which illness. Read/recite these as much as you can and remember Allah in your heart. If still in doubt or if you have anything in your possession which you are not sure about, please bring it down to the Minara Foundation and we will be happy to check it for you in sha Allah and advise you to the best of our knowledge. May Allah protect us all from such evils and guide us towards the righteous path. Ameen. If you find one of these following charcteristics in a person who treats people suffering from sihr or other relate illnesses, then this person is surely a sahir (magician). 1.) He asks the patient his and his mother’s names. 3.) He sometimes asks for an animal, with certain specifications, in order to slaughter it without saying the name of Allah. He may use the sacrificial blood to stain some painful areas of the patient, or throw the carcass in on a ruined site. 6.) He gives the patient a hijab (incantation written on a piece of paper), which contains squares within which letters or figures are written. 7.) He instructs the patient to isolate himself/herself in a dark room and to not talk to people for a certain period of time. 8.) He sometimes instructs the patient to not touch water for a certain period of time, usually forty days. This indicates the this particular jinn working for the sahir is Christian. 9.) He gives the patient some items to bury in the ground. 10.) He gives the patient some pieces of paper to burn to use as incens for their body. 11.) He murmurs unclear words. 12.) 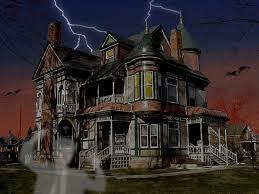 He sometimes informs the patient his name, his town and the reason for his visit. Magic in all its forms in haraam according to all divinely-revealed laws, and there is scholarly consensus that magic and learning magic are haraam. Magic goes against that which the Messengers brought and it opposes the purpose for which the Books were revealed. Most of the scholars were of the view that the one who practices magic is a kaafir whom the authorities are obliged to execute. Ta’weez that contain the names of shaytaan? Ta’weez that contain the aayaat of Allah written backwards? Ta’weez that contain symbols associated with the worship of the shaytaan, such as the so-called star of david, and the pyramids? Ta’weez that contain illegible writing? Ta’weez that contain pictures of the human body with words and symbols written over the top? Ta’weez that contain the aayaat of Allah scribbled and not given proper respect? Ta’weez that contain nothing except tables of numbers? These are the vast majority of the ta’weez that we open every single week, with most of them issued by imams, scholars, and so-called ‘pious people’. Now you have to make a choice between one of two things; either you defend these ta’weez, claiming that they are actually ‘Qur’an’ or that it is permissible to disgrace the words of Allah by scribbling them, or the reader has no choice but to admit that these ta’weez are by consensus of the scholars, haraam. 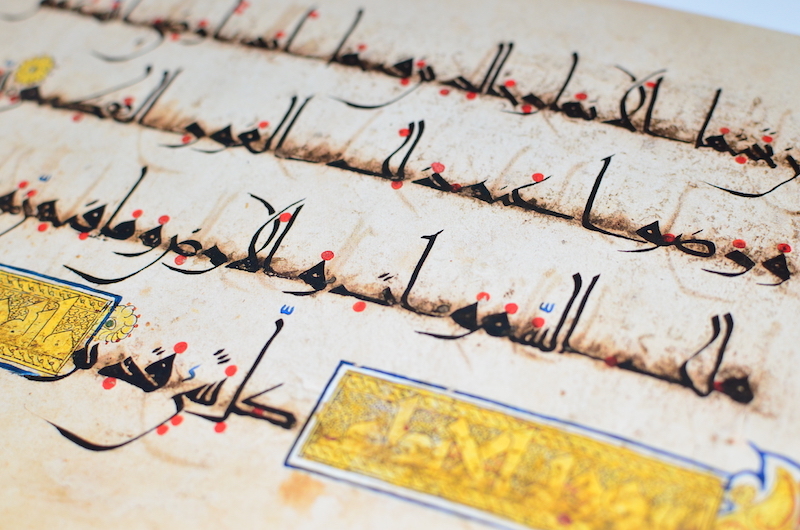 I estimate that I have opened somewhere between 500 and 1,000 ta’weez in my course of being a raaqi, and at the current count, less than ten of them contained clear Qur’an or the names of Allah, with nothing else written on them. In reality, this is just another example of the magicians hiding behind respectable scholars and their opinions. We say to the people who make these so called ta’weez from the Qur’an: would you let the sick person simply print a page of the Qur’an and tie it around his or her neck? By Allah, you would not allow it. Instead, they have to use your ‘special’ writings, which they are not allowed to see or open, and often have to pay money for. If you really hold the opinion of ‘Amr ibn al-’Aas (may Allah be pleased with him), why don’t you allow the people to print a copy of aayat-ul-kursi from quran.com and tie it around their necks? It is the greatest aayah in the Qur’an, so why would it not protect them whilst your secret writings and scribbles can protect them? Has Allah given you something greater than aayat-ul-kursi, or is it that you seek help from the shaytaan? Where did you learn what those numbers and symbols mean? Why don’t you share your books with us that tell you how to ‘cure’ someone with pictures of the pyramids and the star of david? How many of you looked at that list of people and believed them all to be from the companions? By Allah, there is only one companion mentioned in that whole list; all the rest are from the generations who came after them. Furthermore, all of the narrations from that companion are weak. They contain Muhammad ibn Is-haaq, who is someone whose narration is not accepted unless he clearly states that he heard the hadith directly from his teacher (the Arabic term is: mudallis), which in this case he did not. So, let me say explicitly that there is not one single companion from the companions of the Messenger of Allah (may the peace and blessings of Allah be upon him, and may Allah be pleased with them) who allowed ta’weez of any kind, whether from the Qur’an or not! The author himself says that there is no companion who this is authentically reported from, and that half of the taabi’een mentioned are also not authentic. This is in the very same passage that the author of the post quoted – so why did he choose to stop just before the part where the author says that it isn’t authentic? So out of that long list, we are left with ‘Ataa, Abu Ja’far, and ‘Ubaydullah – three people, none of whom were companions of the Messenger of Allah (may the peace and blessings of Allah be upon him), and even their view says that the permissibility is limited to that which is from the Qur’aan alone! On top of that, the very same book (al-Musannaf) mentions other narrations which state that all ta’weez are haraam, even if they come from the Qur’an (authentically narrated from the companions Ibn Mas’ud, Ibn ‘Abbas, Hudhayfah, ‘Uqbah ibn ‘Aamir, and Ibn ‘Ukaym – may Allah be pleased with them all). Why didn’t the author include those narrations? Is it perhaps because he doesn’t want you to know? Even if we accept some or all of the narrations from people who allowed ta’weez, these people are talking about writing a simple aayah of the Qur’an, or some of the names of Allah, clearly and in a way that can be understood by everyone who reads it. Don’t be fooled by statements such as ‘the vast majority of the scholars’ and ‘it is mentioned in such-and-such a book’ – anyone can write words like these. Why don’t we talk about something quantifiable, and say ‘the vast majority of the companions, if not all of them, considered ta’weez to be haraam, in all of its forms’. Allah knows best, and all praise is for Allah alone, and may peace and blessings be upon our messenger Muhammad, and his family and his companions.